Michelle and Michael brought an incredible team to clear out my parents' home. I could not believe how efficient they were, not to mention how positive and professional each and every person was. I could not believe what they got done in two short days. Years and years of clutter were handled quickly and expertly. ​They are absolutely amazing and have my highest recommendation. ​Setting off on the journey to a cleaner dwelling is fraught with shame. You have shame admitting that you're overwhelmed, shame letting someone else into your space, shame being an adult who can't keep a clean house. You'd think a person with all this shame wouldn't agree to have a guest for the holidays. Under duress I told my uncle he could stay with me. With only two weeks left until my guest's arrival, I called Clutter and Hoarding Pros based off of these yelp reviews. Michelle, the owner, is an interesting woman: very confident, very knowledgeable, very persuasive, very talkative. I texted her photos of my house and she gave me a quote over the phone, which was very convenient, but pricey. Frankly I wasn't going to proceed because of the expense. I also felt pressure to sign the contract, and got annoyed. I'm not great with decluttering or aggressive sales people. I contacted Clutter and Hoarding Pros based on their Yelp reviews, and I couldn't be more pleased that I did. I can't say enough great things about Michelle, Michael and the rest of the crew. We are downsizing my mom's house to move her to assisted living, and they came in and helped go through 40 years of stuff in 1 day(!!) They were kind, thoughtful and respectful, all while being super efficient. It would have taken me years to do what they did. ​I highly recommended them with no reservations! Michael, Heather, Dontrey , Alvaro and Tony—were the friendliest, fastest and most professional group we've met in a long time. They made us feel comfortable and brought us any and all questionable items. They found our missing documents and keys! We would def recommend this company to help with any hoarding or cleanup jobs! They cleaned a 3 bedroom condo in 2 days! Many thumbs up from our whole family! The service that Michelle provides is truly "best in class"! She was very professional and efficient as well as compassionate and respectful. Her team led by Michael exceeded our expectations by not only totally cleaning out the home from top to bottom in a day but more importantly uncovering important financial documents, family photos, jewelry and electronics. It was a pleasure working with her team in addressing a very challenging family situation. Michelle and her employees are truly caring professionals that are committed to providing a service that matches their company name of "Clutter &Hoarding Pros"! Please do not look any further if you have hoarding/cluttering estate issue, call Michelle at Clutter&Hoarding Pros. Michelle is the owner and quite a pleasure to deal with. Her employees, especially Michael, were awesome to work with (yes, I actually did some of the trash removal to help out as well). I actually enjoyed doing the work. We inherited a class IV+ hoarding situation and needed cleanup help. Clutter&Hoarding Pros were very professional and sensitive to the entire situation. They were honest and found some sentimental treasures I didn't realize existed under tons of trash! Furthermore, we were in a bit of a time crunch —luckily the team works very hard and very efficiently; Clutter&Hoarding Pros were very reasonable in price as well. Hands down, I would hire then in a heartbeat and I would dare say a 6 star review on a 5 star system!!! Good work!!! Don't even bother calling anyone else! Michelle, Mike and the rest of the crew are crazy perfect. This job was done in half the time I expected. It was painless, thorough and even kind of fun. If I had the physical wherewithal I would be asking to join this team myself. Clutter & Hoarding Pros are excellent! They are experts in listening and applied our instructions correctly, customizing their work to meet our needs and exceed our expectations. They were prompt, engaged, sensitive, detail-oriented and efficient—always confirming to be sure they were following our instructions correctly. ​The team regularly communicated with Michelle (owner), who expertly managed the process, while prioritizing the customer (us, in this case) and ultimately leaving the home in very clean condition through their excellent deep-cleaning partner. Without going into detail, we chose Clutter and Hoarding Pros to help us prepare an elderly relative's home for return from hospital so that a home care support specialist could continue to help in the home. We highly recommend this team of organizing and cleaning professionals! Thank you!! Clutter and Hording Pros are top notch! Without going into great detail, we needed assistance in preparing my friend's house for her return home from the hospital. Needless to say, the house was in dire need of clutter removal from years of overwhelming domestic responsibilities. C&H Pros came in and provided the care needed to lift this burden from my ailing friend. She's now able to return to a clutter-free and sparkling clean home. I cannot say enough of the service C&H provided in our time of need. Words cannot express the appreciation I feel for Michelle and her team of true professionals. ​The candid testimonials and reviews are absolutely valid and I can now say that I am a loyal and grateful customer. Thank you from the bottom of my heart!!! Where do I begin? I'll just start with the fact that my precious mother-in-law is a hoarder. Her house was a nightmare of filth and piles of useless items, as well as buried treasures from the trajectory of her life. The day came when we just had to help her, as she couldn't help herself. ​Michelle Quintana of Clutter and Hoarding Pros put our worried minds at ease. 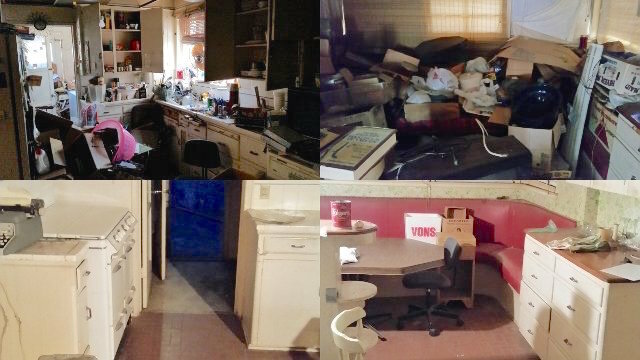 Her years-long experience with hoarders has enabled her to hire the most amazing crew. They are hard-working, compassionate, non-judgmental, friendly, and like a family, really. Three long, hot days of cleaning out the house didn't deter their positive attitudes; I gotta be honest, there were times when I'd cry with frustration and sadness over the things that I saw in the house. Four dead refrigerators? No problem! They hauled 'em off. Seven broken televisions? They're out of here! When I'd cry, they were immediately there for me, covered in dust and sweat and yet their smiles and positive words helped me get through it. I've never experienced anything like it, really. Of course, Michelle runs a tight ship; she was super-responsive to any questions we had and her quote was reasonable and she and her crew were there when they said they'd be there. I'll be forever grateful to Clutter and Hoarding Pros for helping us with mom's transition to a safer environment. XO. It is no coincidence that this company has so many amazing Yelp reviews. If you are looking for a company to organize, declutter and remove, look no further. These Yelp reviews speak for themselves. We hired Michelle to help with a family member that had years of clutter and items that were taking up space and collecting lots of dust. Michelle is the epitome of a professional. She came out, assessed the situation and then quickly got to work. Her team is wonderful to work with also. This is a situation that I had been dreading and had put off for a very long time. Don't wait. You will not be disappointed with Clutter and Hoarding Pros. They get the job DONE and somehow make the journey enjoyable. I have gladly referred them again and again. Thank you Michelle and team. My elderly parent had a bug infestation, and every fumigation company I called said that her house needed to be de-cluttered before they fumigated. My mom's home bordered on hoarding, and the task was overwhelming as I, myself, am a senior. After too many sleepless nights, my wife found Cluttering and Hoarding Pros. OMG! Michelle and her team were priceless!! My stress level immediately lowered after meeting Michelle, Heather, and Michael! (I had been so distraught that I had a stress rash plus hives). If Yelp had a six star rating, I'd give it to Michelle and her crew. My late mother had accumulated enough "stuff" old and new in her home to stock a large thrift shop. It overwhelmed me to even think about disposing of it all. During the initial walk through, Michelle assured me it was "a piece of cake." I was encouraged by her upbeat presentation of their services. ​Her crew of four (Rasha, Heather, Michael and Alvaro) was wonderful. They were extremely professional and very congenial. They worked with maximum efficiency and seeming enjoyment. And they consulted with my nephew and me about what to let go and what to keep. They made an experience I had dreaded into a relaxing, rather fun, daylong adventure. At the end of the day, my mother's place was completely clear and wonderful to behold! Truth be told, I enjoyed interacting with the crew so much, I hated to see them go. Hopefully, I won't need this service again, but if I ever do, Michelle will be the first one I call. Where do I begin. My experience with Michelle and her team was nothing short of phenomenal. My great aunt died here in California and I was nominated to attend to her affairs here and I am from out of state. When I entered the house for the first time it was cluttered and the yard front and back was completely overgrown. I knew I needed professional help. While surfing the web, I discovered Michelle's website and gave her a call. Unfortunately, she was not immediately available but I decided to wait until she could visit the property. It was definitely worth the wait. Her original estimate to clear the home, front and back yard, shed and garage was 3 days; 2 days later the entire job was complete. Her staff was thorough, courteous, hardworking and very respectful of personal items. No task was too big or small, and they all had fantastic attitudes. Michael is also an asset to the team, coordinating the hauling and clean out. He also had a great attitude and was a pleasure to work with. I feel privileged to have met Michelle at a time when I was at my wits end. She was so supportive and positive. I would give Clutter and Hoarding Pros 10 stars if Yelp would allow it. My mothers' health is declining so we soon will be moving her close to us here in Anaheim. The clutter in her house was out of control and she would argue with me each time I tried to help. The piles of paperwork, tons of cleaning supplies, holiday crap was endless. Rooms full. Frustrated, I found Michelle with Clutter and Hoarding Pros. ​that in order to help she would need her permission. Mom just about cried and so did I. Her crew got to work and what an amazing transformation in such a short time. All I can say is many thanks to Michelle. She really became the mediator between us so that Mom and I didn't have any more arguments about the move. The bonus for me was all the piles of clutter were gone, saving us money for the move. Again thank you so much for a great experience with you and your company! After several attempts at trying to clean our garage ourselves, my husband and I finally bit the bullet and called Michelle at Clutter & Hoarding Pros. What I thought was going to be a really tough, horrible, long day, turned out to be really easy and quick!! Michelle and her assistant arrived at 8 and we're done by 3! They were very pleasant to work with. I still can't believe we got through it all the quickly and now have a nice clean garage!! I definitely think she is worth every penny. Working with Michelle at Clutter and Hoarding Pros was the best decision we could possibly have made when dealing with decades of clutter accumulated by my aging Father-In-Law. We did extensive research and spoke to several companies, but after talking with Michelle we realized that our search was over. She put us at ease immediately, knowing what a delicate situation we were dealing with, she assured us that we would be able to make sure that my Father In-Law's complicated emotions around the clean-up were taken care of, as well as accomplishing our goal of digging him out from under all that mess. Her team was wonderful: top-notch, highly professional and worked long hours to help us get the job done within the 2 days that we had set aside to complete the project. In addition to their hard work and professionalism, everyone was extremely kind and patient, working within our unique set of circumstances. If you are looking for a company that will expertly and professionally help you clear your clutter-filled home, but do so with kindness and care, Clutter and Hoarding Pros is definitely the best choice you can possibly make. Who knew? There are two choices when dealing with a hoarding situation... A crew that comes and sweeps everything out, not looking for mementos, valuables, or family heirlooms. And then there is Clutter and Hoarding Pros. Michelle and her wonderful crew actually go through the house (even if no other rational human will) and sort, and discard, and treat the horrible situation with dignity. I have nothing but love for this company, which does a job no one wants to do, with such compassion. Thank you. Michelle and her crew were fantastic. Cleaning out my uncle's house after his death was difficult. They were kind, respectful, professional, and efficient. I would recommend this service to anyone. Beyond satisfied with the service Michelle and her whole crew did for me. Had a hard time figuring out how and where to start to clean up and organize my uncle's house. He's an older man who basically is a hoarder and through out the years accumulated tons and tons of stuff in his home that made me concerned for his health and well being. I knew I couldn't do this on my own, so I started looking for someone's help that had experience in this field and would also be patient with my uncle while the whole process was gonna take place. Luckily I came across "Clutter and hoarding pros" and felt confident with hiring them after reading also all the positive reviews. ​Michelle was awesome since the beginning to the end. My uncle's house looks amazing now and I couldn't be more happy of how everything turned out. Definitely will recommend Michelle and her services. Michelle's work is incredible and she was definitely one of the family by the time she left my mom's house. I called Michelle to help with a de-cluttering for my mom following the death of my father. It wasn't a big job, just clearing away 35 years of accumulated stuff to help my mom. Michelle was very empathetic to the situation and made sure my mom was mentally ready for the project first. Michelle was very efficient and what could have been an emotional day was instead very cleansing. She set up the appraisal appt right away, gave a very fair price and was ready to go to work the following weekend. Her hauler Michael was incredibly friendly and pleasant as well. Just wanted to say that working with Michele and her team was a great experience. At first it was a little overwhelming to me to let a stranger come into the house to see my mess. My mess started about 7 years ago when my husband became ill. I pretty much let the house go. It got to the point that nothing more could go into the garage so it stayed in the house. I don't mean bags of trash or food, it was just an accumulation of stuff—new stuff and old stuff. Michele walked the house, looked at the garage, and said she thought it would take 3 days to complete, starting with a team of 5, including my daughter for the first day. They arrived at 8 a.m. and started in the garage. A 40-yard dumpster was put in the driveway, and I sat in a chair directing what was a keep and what was to go. I thought there was no way that they are going to do this in 3 days. To my surprise the garage was cleaned and bins were labeled and put away. Michele set up a metal man to pick up steel and metal. The next day there was a team of 4, and it was time to take on the back room, which I wanted to be my craft and sewing room—it became just that in one day. Then it was down to a team of 3, and it was on to the bedrooms. Before I knew it they were done. All in 3 days! I have my garage back, a craft room, and bedrooms that I can now leave the doors open. I would highly recommend Michele and her team to anyone who was to declutter their life and home! Michelle and team were wonderful to work with, highly recommended! My mother is a hoarder so I called Michelle to have her help us clear out her 3,600 square foot home which she is putting up for sale. I sent her pictures and a few days later she came to see the home in person. She came out on New Years day which I was impressed by because no one works New Years day. She agreed to help my siblings and me because we had no clue where to start. The remediation was started on 01/11 and finished by 01/13. Michelle's crew were extremely respectful, friendly and professional through out the entire process. It is very apparent that she only hires quality employees to help with the remediation. Over the three days, my siblings and I worked with anywhere between two to five of her assistants. Although Michelle enlisted the help of her assistants, she stayed on site during all three days helping us also. We highly recommend Michelle! She is very good at what she does and has an under-standing of hoarding and the psychology behind it. Fantastic service and a terrific team! Michelle and her crew were organized, efficient, and considerate. They did a phenomenal job clearing my mother's home of her hoarded possessions, which spanned over 50 years of collections and junk. They set a schedule and kept on track throughout. I'm amazed they finished in only 4 days! It was quite overwhelming, but she kept us calm and confident. I met with two other competing companies, and was most impressed by Michelle, and we were not disappointed! Michelle and her team are THE BEST. In the most supportive and nonjudgmental manner, they help you tackle any mess (apparently no job is too large or too small for this power team!). I hired Clutter & Hoarding Pros to sort through an enormous storage unit filled with years and years of "stuff," spanning decades and at least 3 moves, because I needed to downsize to a smaller unit. Michelle and Anika showed up and made this process bearable (and dare I say almost enjoyable because they are truly awesome people!). If you need help taking control of your clutter, these are the folks to hire—you will be so glad you did. In the end, I saved lots of money because (a) I was able to fit everything left into an even smaller unit than I had planned, and (b) I no longer need to consider therapy for the inexplicable attachment to "stuff" that I haven't seen or touched in over 10 years. Thank you, Michelle—you are truly wonderful! 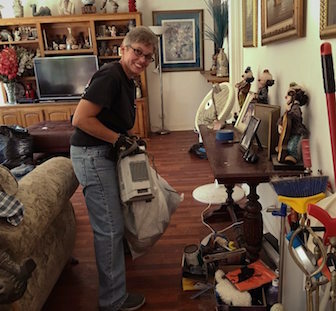 Michelle and her team made this difficult and highly emotional job of cleaning out a family home handed from one generation to the next, occupied for 65 years, the last resident a hoarder who had been helped, recluttered, helped, recluttered for 25+ years, manageable. The final scope was 220,000 lbs hauled off the property (inside and out)—all within 4 days. Inside crew (3) was kind, respectful, watchful for hidden treasures, and sensitive to my emotions at all times. Outside crew (4–5 depending on day) were as good as the inside crew. 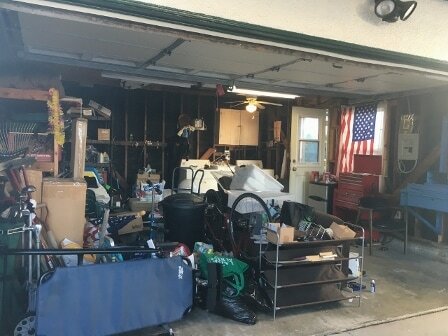 Yard, garage, stable area, front porch—they were told to throw it all away except a very few select items in the garage. They were smart enough to ignore my instructions to "throw it all away" and instead drew my attention to several boxes they thought should not be disposed of without my specific consent—turned out these boxes contained the family's fine china, crystal and other treasures! These people are not machines, they truly understood the situation I was coping with. I highly recommend Michelle and told everyone on the crew they should not hesitate to use me as a reference if needed. I hope to never need this type of help again, but if I do, I will not hesitate to pick up the phone and call Clutter & Hoarding Pros. I'm sure everyone has a story as to why or how their house ended up the way it did. I was diagnosed with Lyme disease in 2014, and due to exhaustion from treatment and the disease itself, I was no longer able to take care of my house or put things away, or deal with much of anything really. A few years later, after I did have energy to deal with things, the prospect of getting my house in order was just too overwhelming. I felt like I was drowning. I ended up moving a few months ago and didn't take anything with me. Once again, I couldn't deal with the prospect of getting rid of all of this stuff because I was too overwhelmed. When the owner of the house told me that I needed to get my stuff out immediately, I was really at a loss for what to do. Then I remembered someone had mentioned Michele's company to me. So, I searched Yelp and and found them. I reached out to Michele on Friday afternoon, she called me back within a few hours and explained how the process would work. I sent her 39 photos of my house the next day and she was able to quote me a price over the phone. I agreed to the price and she said she could have her team out there on TUESDAY. I met her project manager, Michael, at the house this morning a little after 7 am and told them to get rid of EVERYTHING. He and his teammate were extremely nice and not at all judgmental or disapproving—whereas I had been judging myself for this huge mess for a long time. I left to go to work and got a text from Michael a few hours later. He had come across some items he thought I might still want (baby photos, some checkbooks, tax records, etc.). I definitely wanted them and couldn't believe I'd forgotten about them. At 12:34, Michael texted me and told me they were all done. He sent me photos of every room, and I was in utter disbelief at what I saw and immediately started crying from the amount of relief I felt. It took me years to accumulate such a mess and Michael and his teammate were able to clear it out in 5.5 hours! I feel like I can move on with my life now and will forever be grateful. TL;DR—Michele is awesome. Her team is honest, nice, and caring. Service was super fast and reasonably priced. Would hire them again in a heartbeat. I can't say enough good things about this service. Michelle went out of her way to accommodate me in a very short time period and all of her advice was spot on. She promised the job would be done in a day and the crew stayed for 13 hours to make sure it was finished. Michael led the team of four and they were all incredibly efficient, thorough and extremely friendly. Hugs were even exchanged upon their departure. Do not hesitate, use this service. It's worth every penny. I called and spoke to Michelle and found that this type of services were a little bit out of my need as I didn't have a lot of stuff. Michelle not only helped me to understand that but also spent time explaining to me some of the options and pitfalls I would have if I did it other ways (day laborers, dumpster rentals). She was so helpful (even after she knew I would not be retaining her services) that I HAD to write a review to let everyone know what a great person she is and therefore what a great business she must run. Thanks Michelle! I can't say enough good things about this service. Michelle went out of her way to accommodate me in a very short time period and all of her advice was spot on. She promised the job would be done in a day and the crew stayed for 13 hours to make sure it was finished. Michael led the team of four and they were all incredibly efficient, thorough and extremely friendly. Hugs were even exchanged upon their departure. ​Do not hesitate, use these service. It's worth every penny!! ​Clutter and Hoarding Pros really are just that! I found Michelle and her company during a web search. My sisters and I had no clue as to where to start finding someone that could help us clean out our father's house in order to move him to an assisted living facility. The Clutter and Hoarding Pros web site is full of useful information. The thing that stuck out for me more than anything was their claim that they are respectful of all parties involved. Boy, is it true! Michelle and her team are professional, respectful, hardworking, and even fun. They made the overwhelming and emotional task of downsizing my father's cluttered house into something much more manageable and less stressful than it could have been. I feel fortunate that I found Michelle and her crew. I highly recommend her services. What would have taken me and my sisters months, took a couple of days with her team. And they had to do it going up and down a lot of stairs. What a relief. I want to take a moment to express my sincere appreciation for the service provided to me and my family by the exceptional team at Clutter and Hoarding Pros. My mother passed away and was an extreme hoarder. I live in New Mexico and found that after phoning three different companies, and leaving messages to call me back, Michelle Quintana, owner of Clutter and Hoarding Pros, not only immediately returned my call, but was the only company to do so. Michelle spent over 45 minutes on the phone giving me her very knowledgeable advise, information, and warm compassion regarding my needs as trustee of my mother's estate. Situations like this, especially at a distance, can be very trying and stressful. I never felt judged or embarrassed working with her crew. ​Michelle answered all of my questions, definitely giving me what I needed in order to manage it all. Her team did a wonderful job of making a terrible situation manageable, and they returned over $400 that buried amongst piles of paper. I highly recommend her service to anyone in the Southern California area. 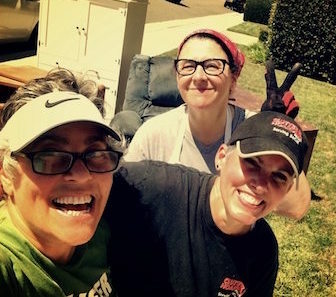 Clutter and Hoarding Pros helped us clear out my father's home after his death. The team was amazing -- professional, personable, respectful and thorough. They emptied a cluttered house, garage and basement sooner than we had anticipated. We enjoyed working with the team members and with Michelle Quintana. They were a godsend! Cluttering and Hoarding pros are exactly that—pros! They make the impossible possible. ​Thank you Michelle Quintana for your knowledge and cheerleading ability as well as your great process. Michelle and her fantastic team helped me and my brother with the overwhelmingly daunting task of decluttering my mother's home after she passed away. From the initial call, it was evident that Michelle knew her business and the kind of assistance we were in dire need of. She came to see the property, explained the process and the number of days needed and exactly what was to be expected. It all sounded too good to be true. Her team not only met expectations but exceeded them. We were dreading doing all of this, and they were not only professional, friendly, and courteous, but more importantly, non-judgmental. We spoke with two other like services and none came close to Clutter & Hoarding Pros. They are excellent at what they do. We had Clutter and Hoarding Pros help us get rid of a lot of junk and organize stuff. Michelle came out to assess the situation and said it wasn't very bad and that it would probably only take a day to finish. I knew we weren't at the level of some of the hoarding they've seen but we just couldn't get it done on our own and knew we needed help. We settled on a date and the two young ladies came out right on time and got to work. I couldn't believe how fast they tore through the living room and it was emptied out and organized in no time. They moved on to the other rooms and the garage and by the end of the day we had thirty bags and boxes of stuff to donate and a giant pile of stuff to have hauled away to the dump. They were super nice and friendly and our dogs loved them. ​Michelle also gave us some contacts for the trash hauling and for housekeeping. The trash hauler was right on time and fast working. I haven't called the housekeeper yet but plan to do so since everything else was so great. ​I gave my partner the gift of organization for Christmas. Our garage has slowly filled to the brim, and I knew she had always wanted a garage where everything had its place and she could maintain a workspace for hobbies and projects. Michelle, the owner, was wonderful to work with. She communicated reliably with us and made the process clear and understandable. She and her staff were on time, kind, and brought a clear process to organizing and disposing of hundreds of small and big items. It was a wonderful feeling to start and finish what seemed like such an impossible, huge task in the space of half a day. 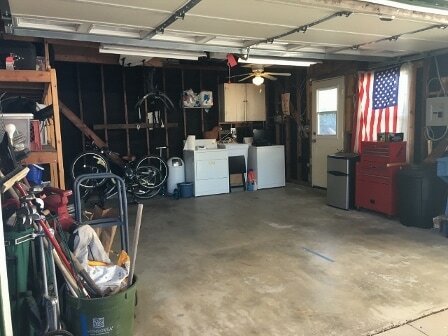 In four hours our garage was clutter- free and looked great. We highly recommend working with Michelle and her crew! They are there to facilitate and help you get the job done right. Called and spoke to the owner, Michelle. I wanted to know if her company would remove a 12 year old television that I no longer wanted. She said no but recommended a gentleman named Pablo that she works with from time to time. I called Pablo and we made an appointment to have the TV removed. Pablo was prompt and courteous and carted the old TV away. His company is called All Things Metal but don't let the name fool you. Thank you Michelle for your recommendation of this service. Thank you again. You and your team did a fantastic job for us. The guys did a great job on the freezer. What a nightmare. They said it was about the heaviest ever. I'm still in shock by the bed our parents slept in. Makes me sad—so much family who cared but so desirous of privacy that quality of life was reduced. Take care of yourself—you see so much more of lives wasted and lives in pain than most people. Sometimes so hard to not let it effect you. ​Merry Christmas, happy holidays and much joy to you and yours in the new year. I contacted Michelle to help de-clutter my Mom's garage and back room after the death of my Stepfather. Michelle and her business is such a gem! She listened and made suggestions that were respectful of my Mom's situation. 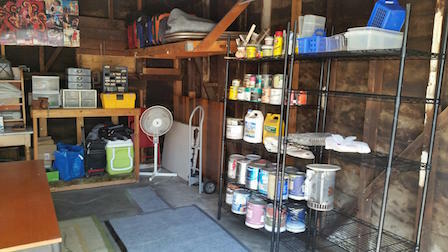 ​The first day chosen turned out extremely hot, but my goodness Michelle and her helper Rasha worked like crazy to get Mom's garage de-cluttered and then organized. They were both so patient and helpful with my 80 year old Mom that even though it was an emotional day I felt like Michelle and Rasha truly cared for the client. I would and will recommend Michelle to anyone! Imagine 30 years of stuff, out of control, having no way to start. That is where I was when I was fortunate enough to find Michelle. The day I met her I knew I was at the right place in the right hands. Michelle and her wonderful crew showed up on time, ready, willing and took over. They kept every promise, went above and beyond my expectations. Michelle and crew are efficient, professional, non judgmental, and caring. This was the best decision we ever made. I highly recommend clutter and hoarding pros. Michelle and her crew are professional, efficient and are truly miracle workers! All these reviews describe perfectly who they are. I cannot say it much better. More important to me was that they were nonjudgmental, kind and sensitive about cleaning out a garage with three generations of stuff which had been unattended and nonfunctional for five years. In two days, I can put my car in the garage and the other half is clean and organized! Our company specializes in Probate & Trust real estate. We have sold over 400 estates, so we know about Hoarders and Trash. 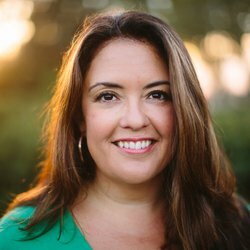 I met Michelle recently at a business event, and I am very glad I did. As a first assignment I assigned Michelle a true hoarder's home filled to the rafters with trash and refuse. Michelle and her crew got to work immediately. The work was done quickly, on time and on budget! Bottom line, Michelle DELIVERS!! I look forward to a long-term relationship with Clutter & Hoarding Pros. TRUSTWORTHY, PROFESSIONAL, EFFICIENT! Michelle and her team are unparalleled in stressful situations and clutters that seem impossible to clear. As a trust attorney, my clients need a dependable company to come in and clear out their loved ones' or their own homes! We have used Michelle in a variety of situations, and every time she and her team have proven worth every penny. They take the hard work off our our shoulders—and the client's—and this is very important, especially in light of the things that families face (illness, death, hoarding, etc.). Thank you Michelle and Team! Michelle and her team are amazing!!! She recently took care of cleaning out my aunt's very full house after she passed away. Michelle went so far above and beyond the call of duty, it is hard to put into words! Honesty, integrity, and efficiency are words that stand out when I think of Michelle. I also felt protected when dealing with sensitive issues. When needing other resources, she had reliable companies that she had vetted so they also had her high standards. I would highly recommend Michelle and her company to clean out, clean up, or organize their spaces!! Amazing job! Very professional from beginning to end. I highly recommend this company. A superb and specialized clutter cleaning service. The apartment (my mother's Los Angeles home) was absolutely spotless . . .
it was gleaming like new. The staff are polite and extremely hard working. My project was not clutter/hoarding, but to prepare a house for sale. Michelle and her staff are very nice to work with and very efficient. They are well organized and have a very systematic approach for dealing with home property by sorting items for sale, donation and disposal, as well as providing pick up for donation and disposal. The work was completed in a day. I was overwhelmed with my own stuff. According to Michelle, I'm a "Messy," someone who drops stuff and doesn't go back to put it away where it belongs, so it piles up, and then I become overwhelmed! Michelle and her team turned chaos to order by helping me declutter, decide, donate, then organize what was left. Michelle has taught me skills to keep things looking good for the long haul and turn my house back into a home. She donated what I no longer needed to charities, which helped me feel good about my over-abundance. I'm learning that "enough is enough," and that I don't need to keep stuff "just because" I might need it in the future, a concept I learned from my Depression-era mother!! Thanks to Michelle and her organizing and cleaning crew, I have my life back on track!!! I can't thank her and her team (Jennifer and Angelica) enough for their professional, nonjudgmental, supportive, caring manner of providing services. Working with these professionals was indeed a joy. 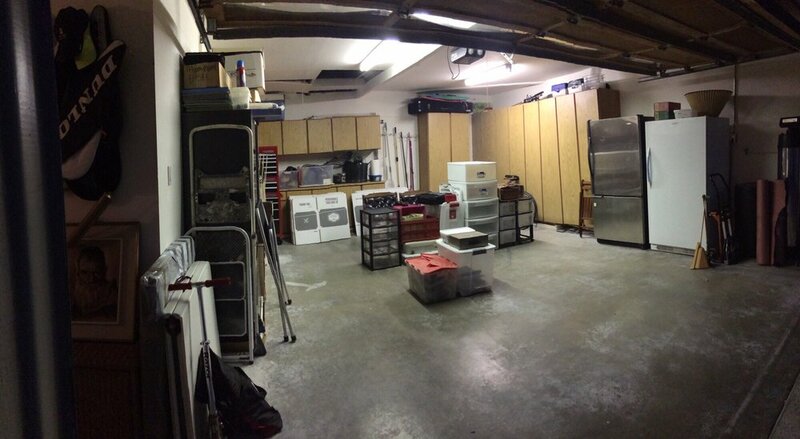 My garage, which was piled to the top for past six years, is clean and tidy with one day of work. Today was a breeze with Michelle and her assistant, Jennifer. Michelle and Jen have a great attitude; they are supportive, respectful, and efficient; and the tone of their voices was pleasant, assertive, and very motivating. Michelle was very patient with my indecisiveness—she kept me focused but still feeling in charge of my own preference. I'm grateful that I found them on Yelp. And more so, I'm seeing them again next week for the attic! I simply can't wait. What a great experience! Michelle and her crew are truly full service and will assist in whatever it takes to get your home back in order. It's life changing!! Our garage had become a nightmare after years of just throwing everything in there and trying to forget about it—unpacked boxes from a previous move, old toys, clothes, sporting equipment and a build up of large boxes we accumulated from deliveries that we never broke down . . . There was barely any room to move in there and there was certainly no room to park a car. After several failed attempts to motivate myself to clean it out, I decided to just call upon an expert and just get it done. Michelle and her assistant, Carmen, were amazing. Michelle showed up early in the morning (after her initial assessment about a week before) and got to work right away. A huge one ton trash bin was brought in and there was a flurry of activity. She explained that we'd work section by section and discard all the things we didn't want, put other items aside for donation, and have a pile of things we wanted to keep. Then we would organize the remaining things in our "keep" category, and put them with like items. Then the sweeping, cleaning and putting away of items. It turned out that after we got rid of everything we didn't want, there was actually tons of space and storage available. We didn't even need to purchase any additional shelving or storage systems. By the end of the day, our completely stuffed garage, without any room to walk, was completely decluttered and organized. Michelle mentioned that this was pretty much like a day off for her because she is usually in situations where there was just so much stuff—and as the name of the company implies, a good deal of hoarding. 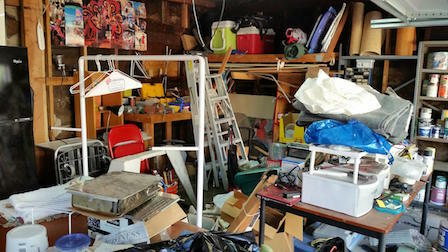 For me (though my husband may refute this), I was actually not a hoarder, I was just so overwhelmed with the task of cleaning out my garage, which lead to major anxiety and caused me to procrastinate for years. In one day, Michelle was able to come in and take care of it all. I was able to be involved every step of the way—but that all depends on the client and what's comfortable for them. I knew I wanted to get rid of probably 75% of the stuff I had in my garage and she helped to facilitate that. She even took all of our items for donation and brought back a receipt. It felt incredible to finally let go of all that stuff and it also felt wonderful to know that other people would be benefitting from the things that were just collecting dust in our garage. If anyone is on the fence about doing something like this . . . I would highly recommend it. Yes, maybe someday you'll find the time, and yes, it may be less expensive to just hunker down one weekend or slowly over a couple weeks, sifting through things when you have the time. But do you really want to do that? Do you actually think you will? I know that this never became a priority for me until it got out of control and I wish I hadn't waited so long. My husband and I hung out in our garage several times today, just to look around, and enjoy the space and emptiness. What an incredible feeling! I cannot say enough amazing things about Michelle, her super-rad company, and her wonderful team!!! My house was a disaster! I was defeated and completely overwhelmed. Michelle and her team came in and worked their magic!! They are professional, kind, helpful, efficient, and nonjudgmental. I HIGHLY recommend them to anyone who is in over there head with clutter and mess!! It's been a few days since the Great Declutter and Cleaning of 2015 and I COULDN'T BE HAPPIER!!!!!! I never thought I could enjoy my house the way I'm enjoying it now!! Huge thanks to Michelle and her team for getting my life back together!!!! ​I moved into my house about a year and a half ago and never got it all unpacked before I had to have foot surgery that kept me on the couch for most of 6 months. You can't organize clutter and my place just got worse and worse until I just gave up. Then it really got bad! Enter Michelle and her assistant Jennifer. In three and a half days these wonderful women transformed my house and my 450 sq. ft quilting studio—both depressing messes—to the wonderful home I knew was under it all. Michelle is so upbeat, warm, friendly, non-judgmental and dives right into the mess. The moment I met her I knew I would be comfortable having her in my home, which I was embarrassed to let anyone else see. They were both so easy to work with and made it so much less stressful than I thought it would be. I'm thrilled with the final results of their very hard work. ​To try to put into words what Michelle has given back to me is beyond me at the moment. I consider the transformation of my room to a dentist giving a patient a new smile. I don't have to be embarrassed to let someone see inside or to leave my door open. She's given me more than a clean room, but rather a degree of self-esteem and respectability. Thank you, thank you, thank you. ​Clutter & Hoarding Pros are miracle workers! Michelle Quintana and her crew turned a stressful and overwhelming situation into a manageable one—and in only two days! With their sensitive and professional approach, they cleared my relative's 1,100 square-foot house of years of junk and debris. Everything was carefully and efficiently sorted into appro-priate piles and hauled away at the end of the day. Had I not witnessed the transformation with my own eyes, I wouldn't believe it. If you're faced with clutter and hoarding, give Clutter & Hoarding Pros a call. You'll be impressed and amazed with their work. Michelle has been helping me with my office for years. She is an outstanding professional in organizing and weeding through files, paperwork, and whatever else is taking up your space. She helped me close my three-room business office a few years back, and her help was a blessing. She is personable, nonjudgmental, and an ultimate organizer, with a great sense of humor. I had my kitchen remodeled and she helped me pack up my kitchen. What a job that was. She also helped me decide what items to get rid of and what to keep, making the unpacking a breeze when my kitchen was finished. There is no job too big or to small for Michelle. She is never critical and lets you decide what you want to keep or discard. Best of all she arranges for things to be discarded or donated and knows all the right people to assist. In addition to helping with my business office and home she also helped with cleaning out a year of stuff from a spare bedroom where my daughter stored all of her clothes and personal items while waiting for her own home to be completed. I highly recommend Michelle for anything you need help, she is the BEST.